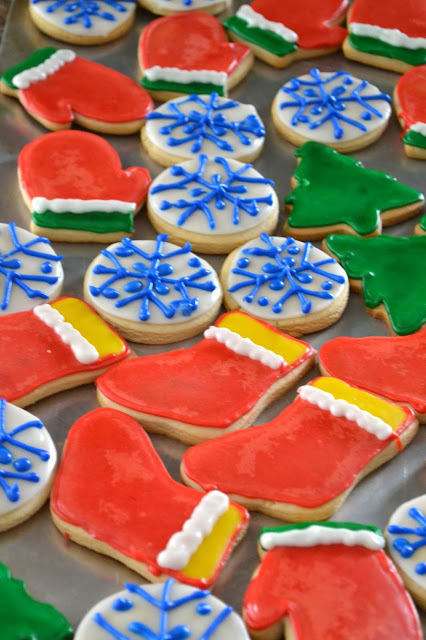 Cookies are my favorite thing about Christmas. Well, you know what I mean. They're in the top three. I was thinking I should bake this year. I haven't the past few. I must say the cute little holiday sugar cookies and Hershey's kiss cookies are always my favorites. Thanks for sharing this awesome list, will have to give some of these a try. Yeah, I'm adding those soft sugar cookies to my list. I've never been very good at decorating, but I think I could follow your tutorial :) Also those peppermint creams look amazing. I did all of my baking yesterday and I am so glad it's done haha. Cookies are the one thing I'm terrible at making. Specifically, Christmas cookies. Mine are always a hot mess.